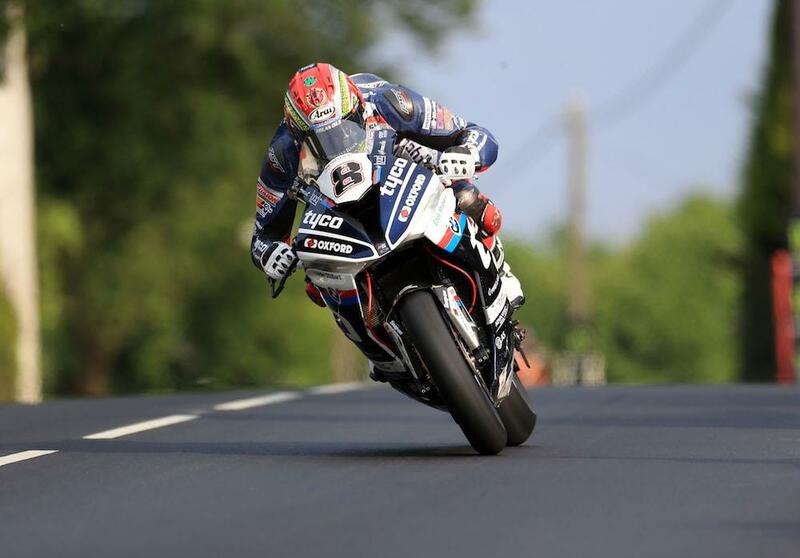 Dan Kneen’s family have given the Tyco BMW team their ‘full backing’ to continue racing at the 2018 Isle of Man TT races after the Manx racer’s tragic crash on Wednesday evening. Kneen lost his life in an incident at Churchtown on the opening lap of Wednesday’s Superbike, Superstock and Supersport session. Tyco BMW team boss Philip Neill described the whole team as ‘numb’ following the news. “We are all numb at the minute if I’m truly honest,” he said in a team statement. “Dan had settled in superbly well here at Tyco BMW, as his previous results have shown, and having set his best-ever lap time around the TT circuit just last night, he proved his credentials as a potential winner this year. In an emotional statement, Kneen’s father Richard has given his blessing for the Tyco team to continue racing this week with Michael Dunlop, stating the ‘show will go on’. “Thank you for all your support at this sad time,” he said. “Dan lived for his racing and wild horses wouldn’t have torn him away from it. I was happy for him, he was in his element and loving it. My thoughts are for Leanne, my other son, Ryan, and our whole family.